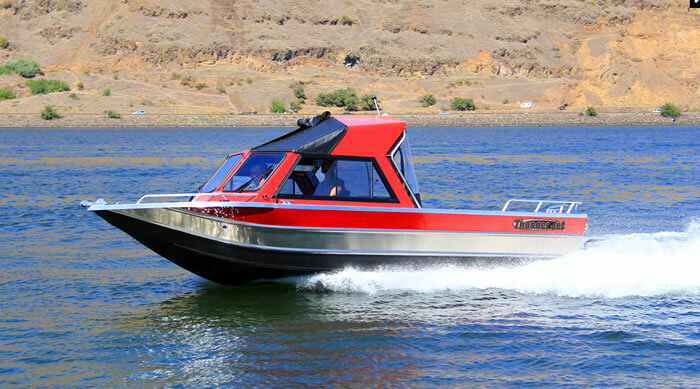 Thunder Jet was established in Clarkston Washington in 1981 and has since been building some of the most advanced heavy gauge aluminum boats in North America. Recently acquired by Brunswick Corporation, Thunder Jet continues to invest in the best people, latest technology and equipment while focusing on lean six-sigma manufacturing practices. Thunder Jet specializes in Outboard, Offshore and Jet series boats that utilize the latest technology, equipment, and manufacturing principles. With more than 6,000 boats manufactured, Thunder Jet continues its rise as one of the premier aluminum boating companies.